If you are contemplating a home improvement project, you will surely have an endless stream of advice from a wide variety of courses. It seems like there are countless TV experts sharing all sorts of advice and recommendations. Plus, as soon as you mention your plans to friends and family, you will inevitably receive a ton of tips and words of wisdom, some of which may even contradict each other. It can start to become overwhelming and confusing. 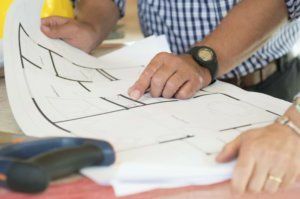 While it is great to receive hints and tricks from people who have survived their own home remodeling projects, you don’t automatically want to take everything you hear too seriously. For one thing, you are likely missing out on tales of all the mistakes and missteps that also occurred during the project. If you can’t look at the finished project, you also have no way of knowing exactly how successful (or not) the outcome was. The best approach is to listen to all of the insight and advice, but take much of it with a grain of salt. Try to filter out the fluff and focus on the information that might be most helpful or relevant. Then do your own independent research to verify the information or instructions you have been given. When you use a reliable and experienced home improvement contractor, you don’t have to worry about making costly mistakes based on faulty information or bad advice. Republic West Remodeling can handle all of your home renovation needs.